I orginally posted this over at homegrown and healthy last fall, and realized I should share it with my Tip Garden readers also! If your family is like mine, winter comes and I am suddenly stuck with a pile of gloves, hats, and scarves that don't really have a home during the winter months. I've tried baskets, and any other number of ways to collect them. The problem is they usually come into the house wet. So they need a place to dry out, so throwing all the wet gear into a basket isn't wise! So, how do you find an out of the way place to dry your winter gear but also to organize it so it is handy when dashing out the door? 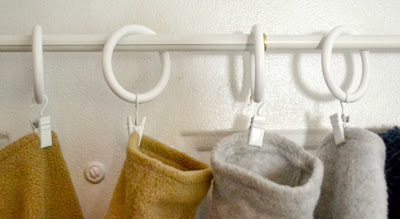 Grab a curtain rod and some curtain rings with clips! In the picture above I mounted a magnetic curtain rod onto the back of my steel front door. This was mainly because my preferred spot on the inside of my coat closet door is in such a dark corner the photo's would look terrible! 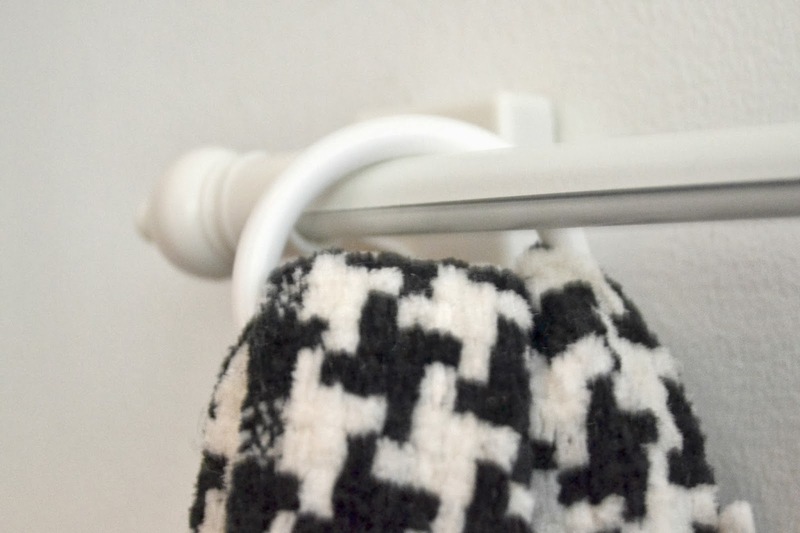 You can mount a curtain rod on the wall in a mud room, on the inside door of your coat closet, or on the back of your front or back door. 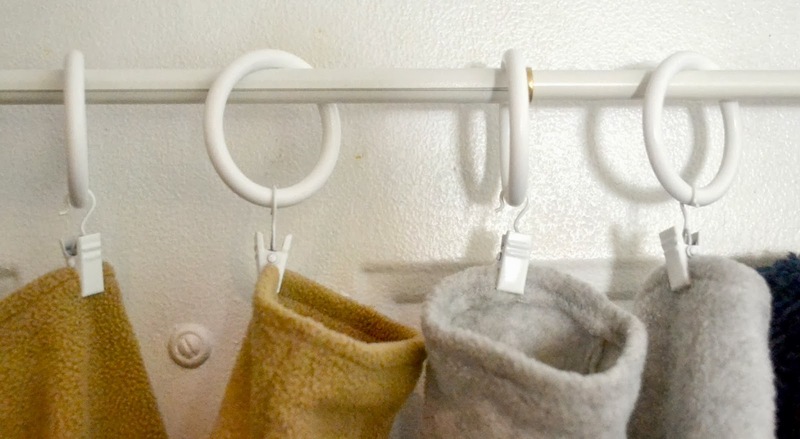 I bought these curtain rod clips from Ikea, but your local big box store should have them also. 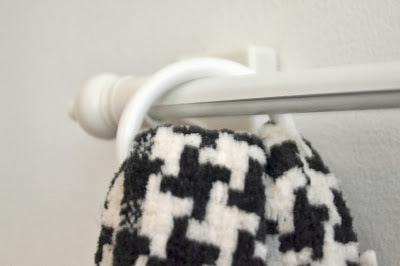 I usually just slide my scarves right through the rings though. 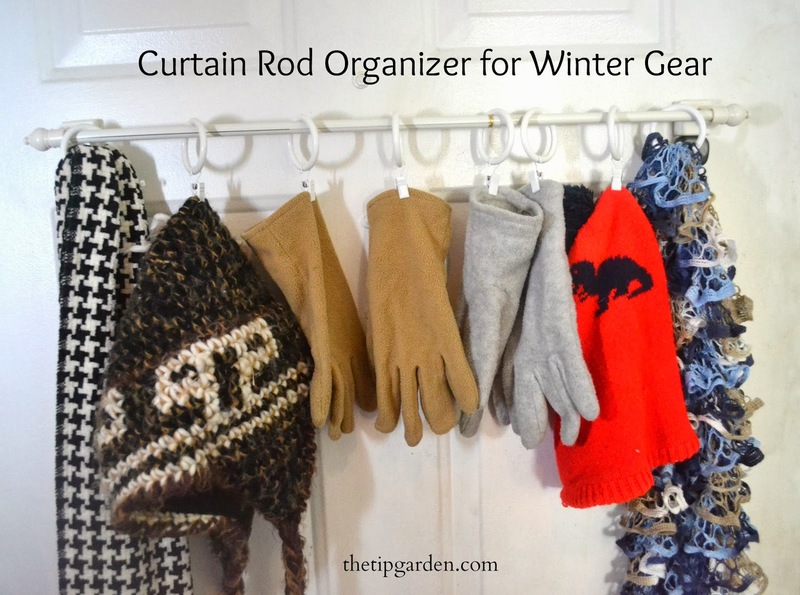 How do you organize your winter gear? Share your ideas with us!